I was recently sent some beer by two breweries to write about. I happily accept beer for an honest opinion when I write an article about them. 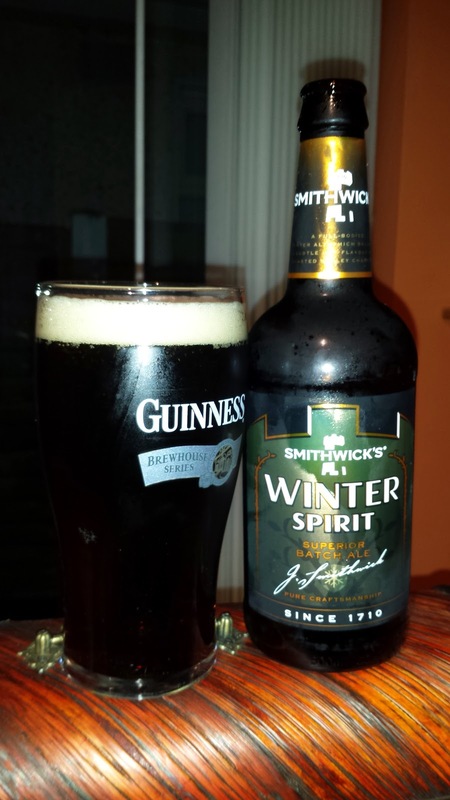 For the second year, Smithwicks have released Winter Spirit. I was at the launch last year and learned that it's basically normal Smithwicks with extra roast barley. Is it an inspiring recipe? No, of course not. It's not trying to be. You drink with your eyes and typically, people prefer lighter beer in summer and darker beer in winter. A Smithwicks drinker might prefer a darker version of their favourite tipple in winter. Winter Spirit in my opinion is like Smithwicks how it should be and quite possibly more like it used to be. I have nothing to base that statement on but anecdotally, modern beer from large producers has had ingredients reduced to save money and make them more assessable to the masses. 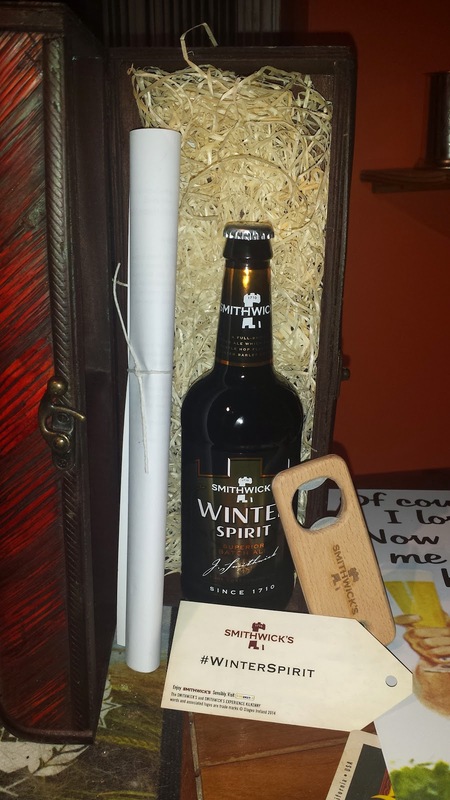 Winter Spirit has a large malt forward body with hints of fruit cake and a nice bitter finish. It's inoffensive but has enough flavour to keep you interested for the duration of the pint. One thing worth mentioning, and nothing whatsoever to do with the beer is the lovely looking bottle opener pictured above is useless. 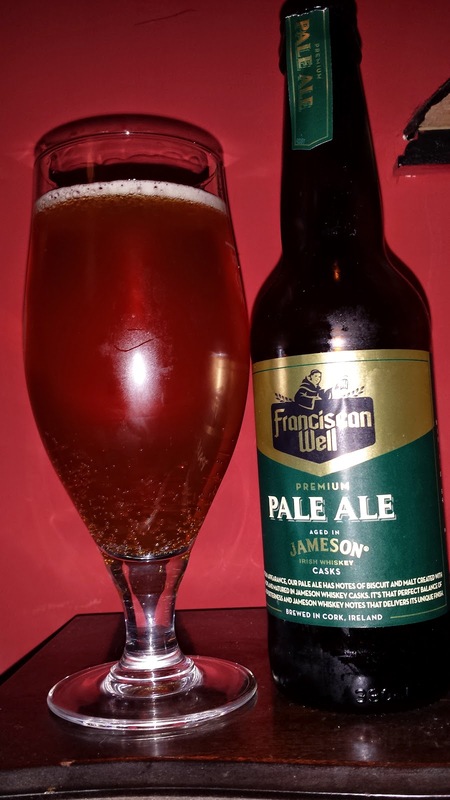 A few weeks previously, I was sent some of the Franciscan Well's new pale ale aged in Jameson barrels. This follows on from their very successful Jameson barrel aged stout series. I'm not 100% sure how well this marriage works in this case however. The ale itself is a nice sticky orange marmalade affair with a hint of hop bitterness and oak from the barrel. There isn't much in the way of whiskey itself, so don't expect Innis & Gunn here. I had quite a lot of this on tap at the ICBCF in September and it seems different to me. In the bottle, it's more subtle and old ale like. It was more carbonated and quicker drinking on tap. At 6% you can expect this to provide a little warmth on a cold winter evening. Personally, I think whiskey barrel ageing works better with stouts but that's just me perhaps. My advice is to try it for yourself. In the meantime, I'm ageing all of the different releases of their wonderful barrel aged stout for a vertical tasting sometime soon. It's also worth noting that Jameson have recently released a whiskey aged in stout barrels. Essentially, the barrels that Jameson sent to the Franciscan well for their stout were returned to Jameson and whiskey was aged in these barrels. They are calling it caskmates, a fitting name. I have no idea if it's any good but it's an interesting idea all the same.